The Institute for Digital Archaeology Method & Practice will take place on the beautiful campus of Michigan State University in 2015 (August 17-22) & 2016 (August 15-20). Institute sessions and activities will rotate between MATRIX (Natural Sciences Building), the LEADR Lab (Old Horticulture), and McDonel Hall (location of MSU’s archaeological facilities). The institute will cover travel costs (flight, driving, or rail) of up to $500 for all attendees. Grad students with financial need whose travel costs exceed $500 will be able to request additional travel funds. Detroit Metro International Airport (DTW) in Detroit, MI – 88.4 miles/1 hour 24 minute drive to MSU Campus (directions). The Michigan Flyer provides bus service between the Detroit Metro International Airport and East Lansing. It drops off and picks up directly at the East Lansing Marriott. Alternatively, Amtrak’s trains and the Greyhound Bus Line service the East Lansing Train Station daily – 1.7 miles/6 minute drive from the MSU campus (directions). Institute attendees will be housed on the campus of Michigan State University in the Owen Graduate Dormitory. Rooms are single occupancy and located on the floor for visiting scholars. During the institute, all meals will be provided for attendees at Shaw Hall (The Vista). While attendees are welcome to eat anywhere else (there are lots of options in downtown East Lansing), the institute will not cover the cost of these meals. Dietary information for MSU Culinary Services can be found here. Michigan State University founded in 1855 as the pioneer Land grant institution is internationally known as a major public university in the United States, with a global reach. With over 47,000 students and 10,000 faculty and staff, we have advanced knowledge and transformed lives through innovative research, academics, and outreach for over 150 years. MSU is a member of the Association of American Universities, the National Association of State Universities and land-grant Colleges, and the Big Ten athletic Conference. Michigan State University is committed to intellectual leadership and excellence in both developing new knowledge and conveying that knowledge to its students and to the local, national and global community. East Lansing is a warm campus town nestled just east of Lansing, the capital of Michigan. 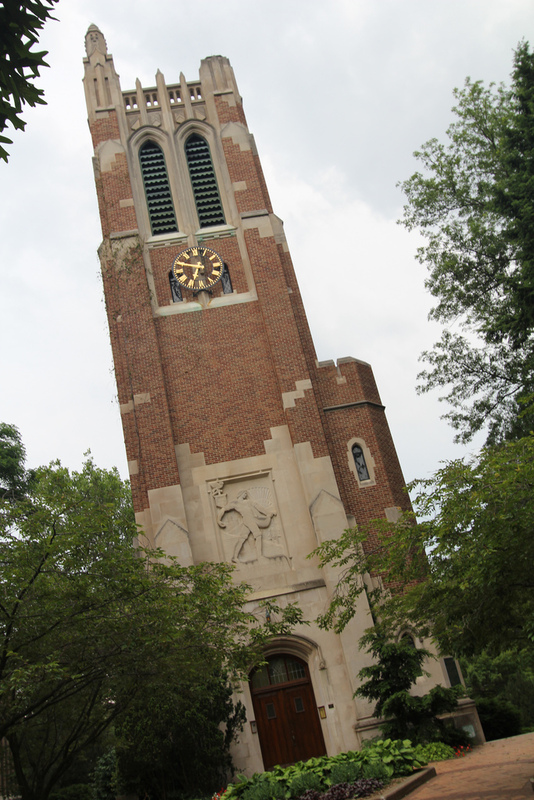 East Lansing is the home of Michigan State University. The East Lansing downtown area caters to the university community with unique shops, bars and restaurants, and speciality stores. From the Michigan Capital in downtown Lansing, to the art galleries of Old Town, to the vibrant campus community in East Lansing, the Greater Lansing area offers a wide variety of entertainment, arts, culture, shopping, and dining experiences. More information is available from the Greater Lansing Convention & Visitors Bureau.